Everyone always asks where you can stay in Paris without breaking the bank when you’d rather spend all your money shopping and drinking, and also plan to spend every night in club. If you want a reliable, simple place to lay your head when visiting Paris, the Grand Hotel Leveque right on rue Cler is just what you’re looking for. Very clean and tidy, with helpful friendly staff, AND a location that’s second-to-none in Paris: right on rue Cler, one of Paris’ greatest market streets, just a few blocks from the Eiffel Tower and Invalides. A word of caution to American guests: even if you’re traveling alone, if you get a single at older hotels, you may have a twin bed and have to share a bathroom with people on your floor. So, if you plan to have company or if this bothers you, book an en suite double. 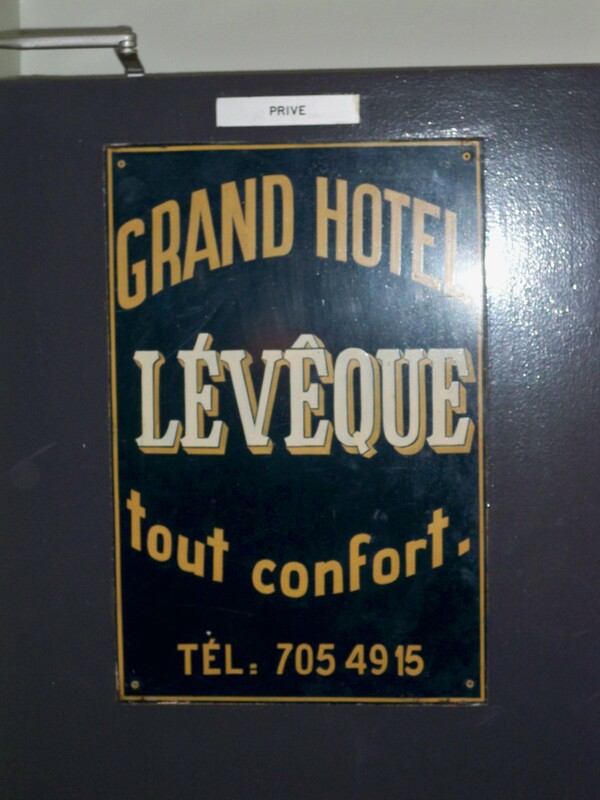 True at the Grand Hotel and all other French hotels of a certain age. If this isn’t a problem, book the single, as these rooms are typically a great bargain. The 7th is a great neighborhood to stay in Paris, as it’s centrally located and you can walk nearly everywhere you’d want to visit. Not to mention, there’s a lot to see and do in the 7th itself. The neighborhood manages to be accessible to visitors while not losing its classic Parisian feel. A fabulous base camp in the 7th is the charming Hotel de Latour Maubourg. In a beautiful older building with nicely appointed, very comfortable rooms, it’s a great home away from home when you’re visiting Paris. The staff are all extremely friendly and very helpful. Just blocks from rue Cler, right across from a convenient Metro, and within walking distance of just about everywhere, Hotel de Latour Maubourg is a great find. The rooms that look over the little square have great views of Invalides/Ecole Militaire as well.